Prince’s legendary vaults have been cracked open, and although we’re still waiting for the thrash-metal album from the late musical legend that we know must be in there somewhere, his estate has officially announced a new live record, Piano & A Microphone: 1983, on the date of what would have been his 60th birthday. By “live,” we mean “recorded live in studio,” from a session at at Prince’s home studio in Chanhassen, Minnesota. 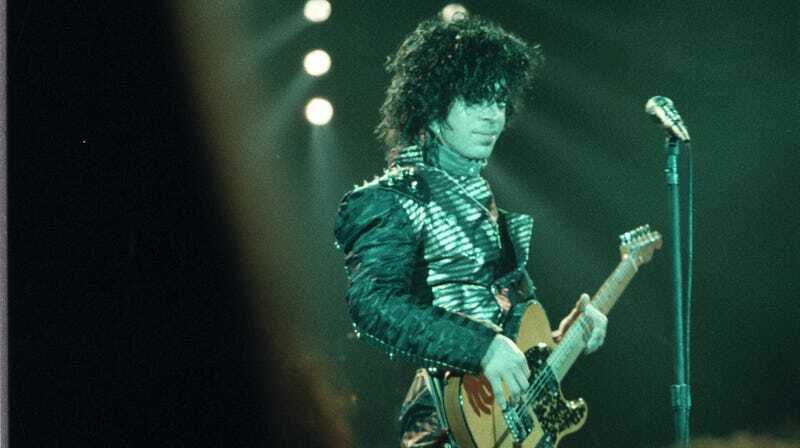 The album, due out on September 21, includes a cover of Joni Mitchell’s “A Case Of You” as well as an early version of “Purple Rain,” which would become a Top 10 hit for Prince and his Revolution the following year. If these tracks are anything like the live rehearsal footage from 1984 Prince’s estate released along with his original recording of “Nothing Compares 2 U” back in April, it’s going to be incredible. You can watch that, and hear a clip of the live-to-tape version of “Mary Don’t You Weep” (also featured on the soundtrack to Spike Lee’s upcoming BlackKkKlansman), below, along with a track list courtesy of Pitchfork.